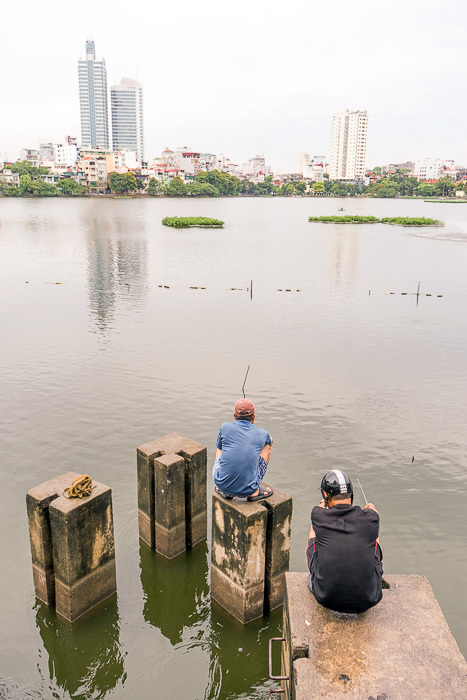 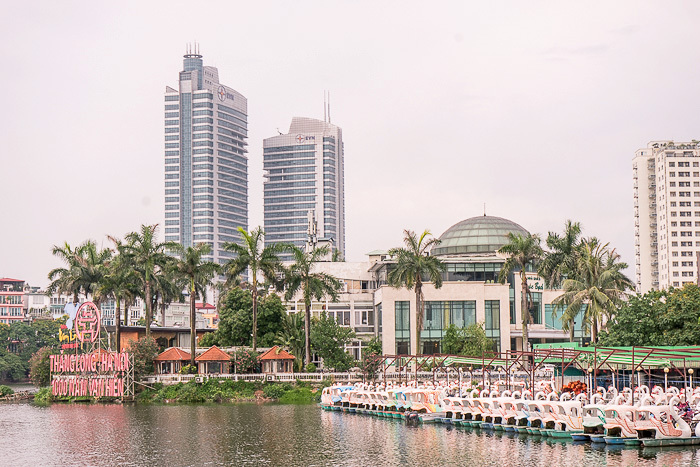 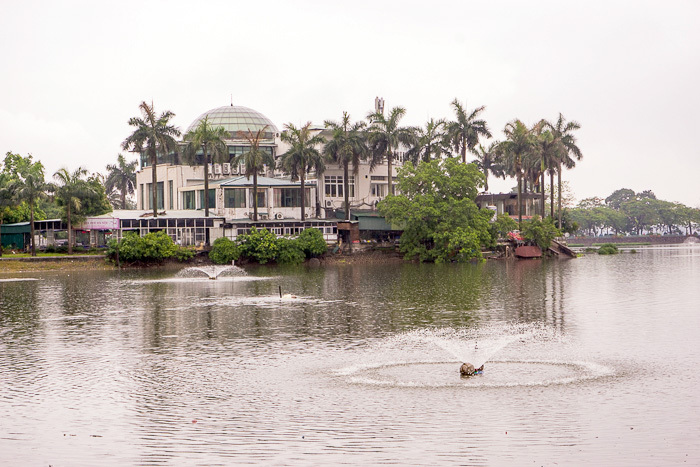 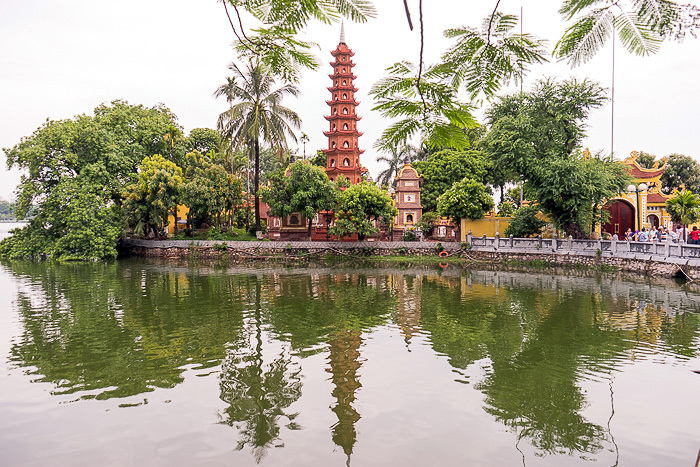 Trúc Bạch was created during the 17th century, when citizens erected a small dam to create a fishing pond, and despite a fair amount of pollution, it’s still popular with fishermen. 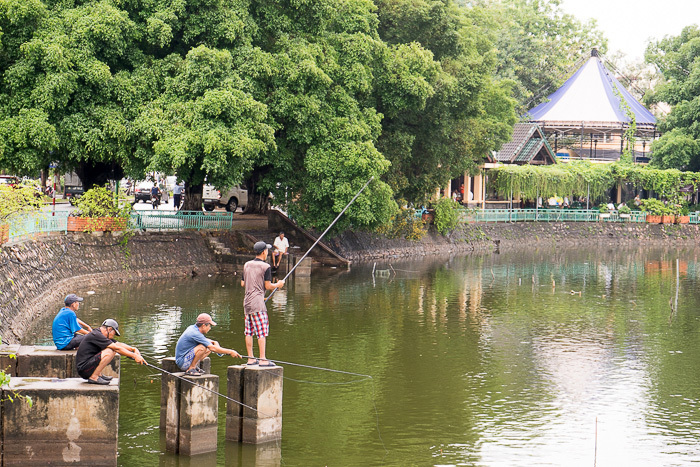 But there will never be another catch like the one made on an afternoon in 1967, when residents fished John McCain out of the lake. 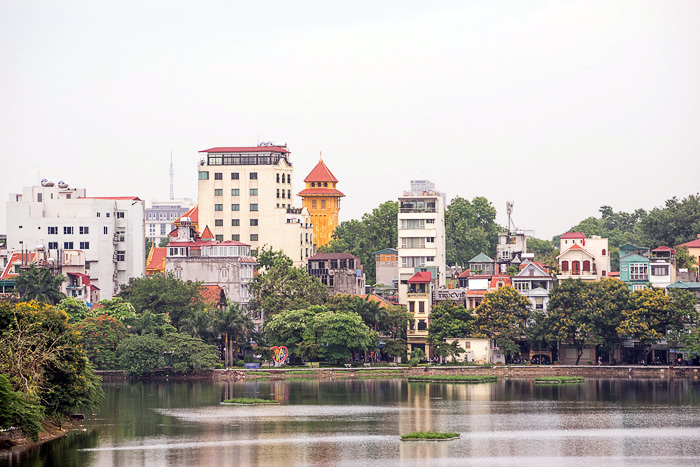 He had been shot out of the sky by anti-aircraft ordinance, and … let’s just say, the people of Hanoi gave an appropriate welcome to the man who had been raining death upon them from above. 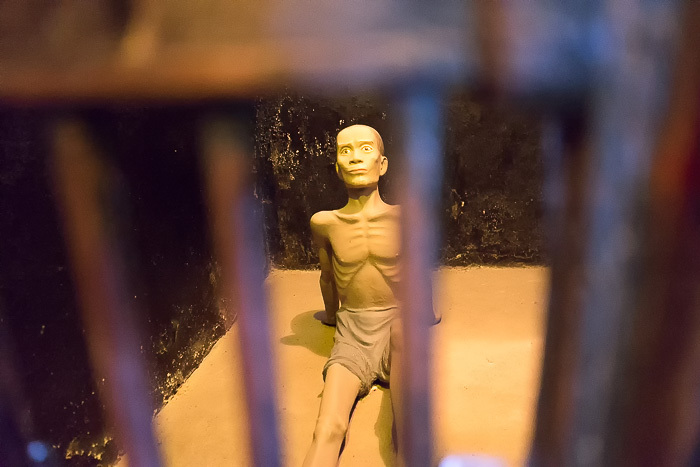 They gave him a brutal beating, before carting him off to Hỏa Lò Prison. 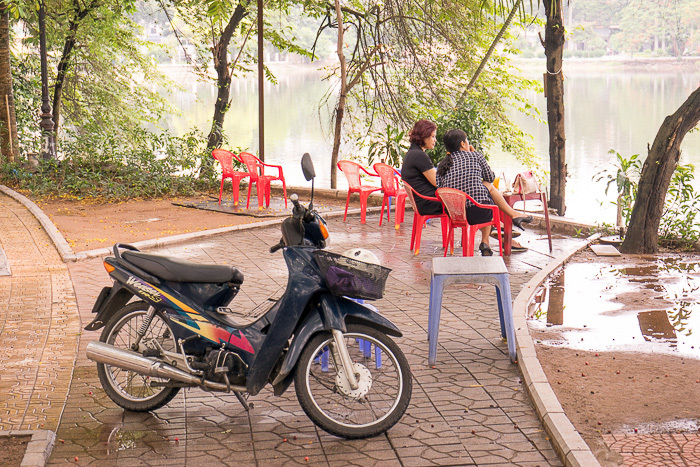 Today, a monument at the lake commemorates McCain’s capture. 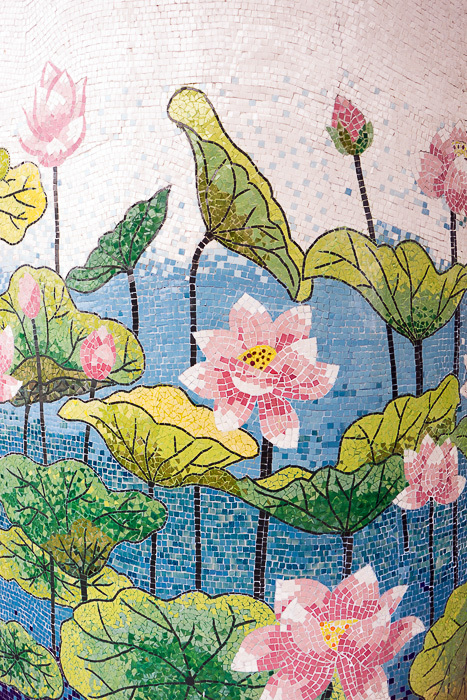 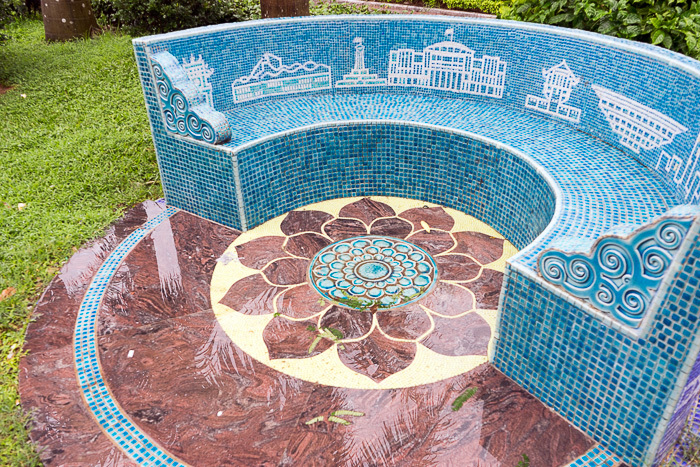 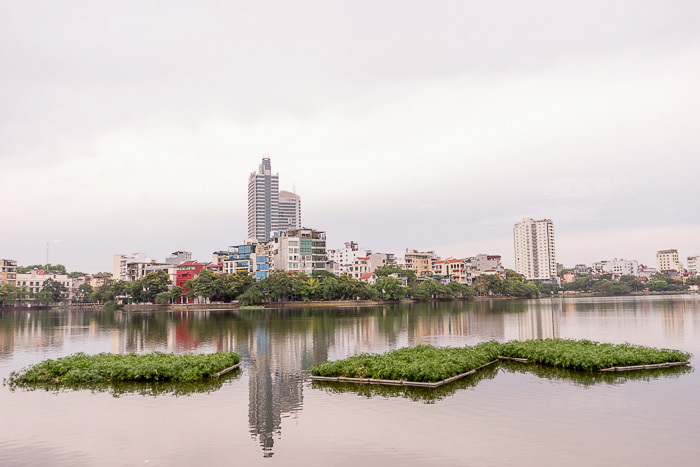 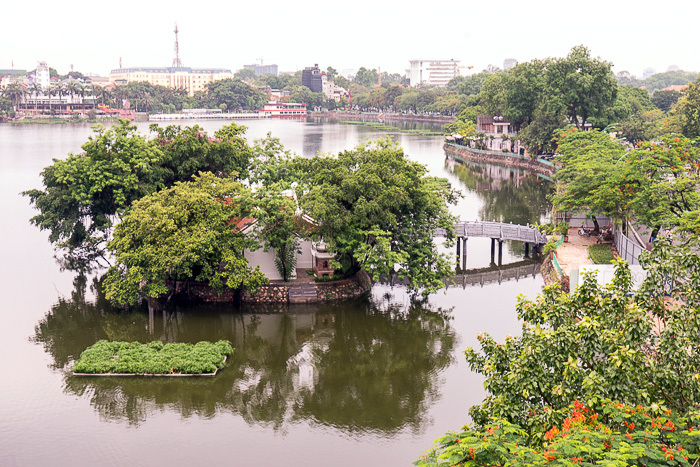 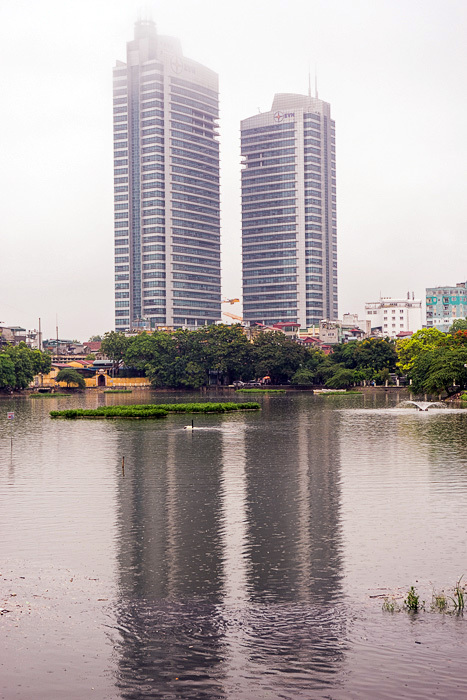 The best part of Trúc Bạch Lake is the entertaining neighborhood which occupies an oval-shaped island in its southeastern corner. 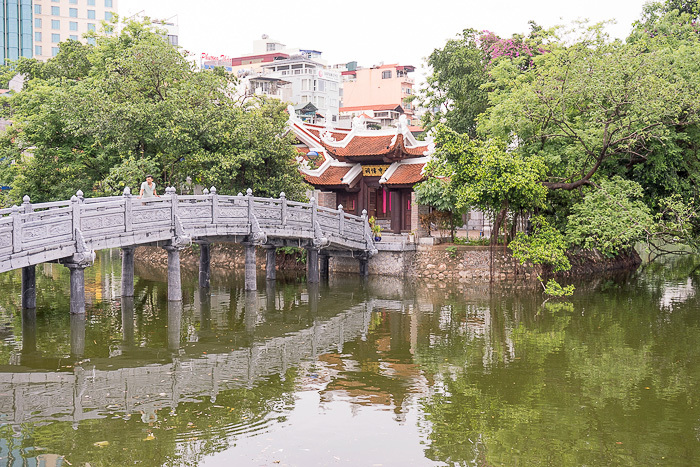 Connected to the mainland by a couple bridges, this island is a popular place to grab a bite to eat. 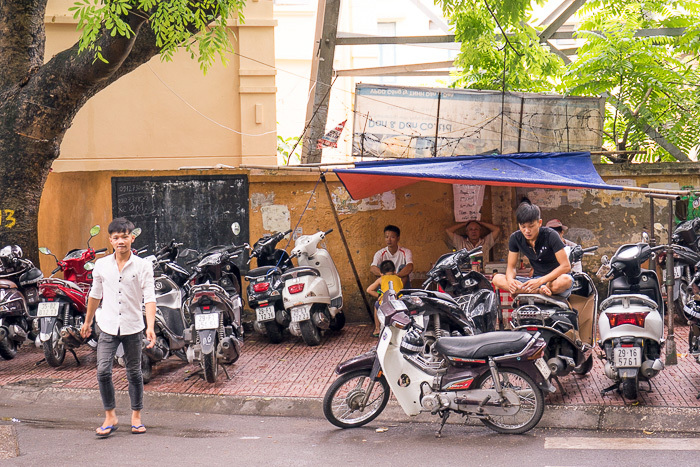 Around lunch time, squads of young guys stand on the street, imploring every passing car to stop at their restaurant. 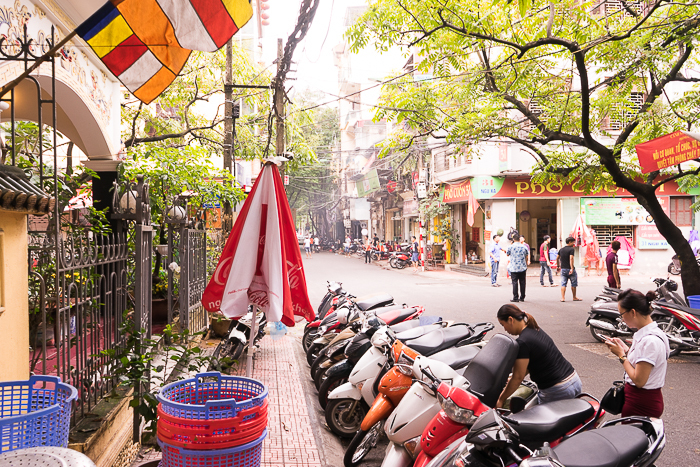 We enjoyed an excellent meal of Pho Cuon: beef slices rolled up with veggies in thick, white noodles. 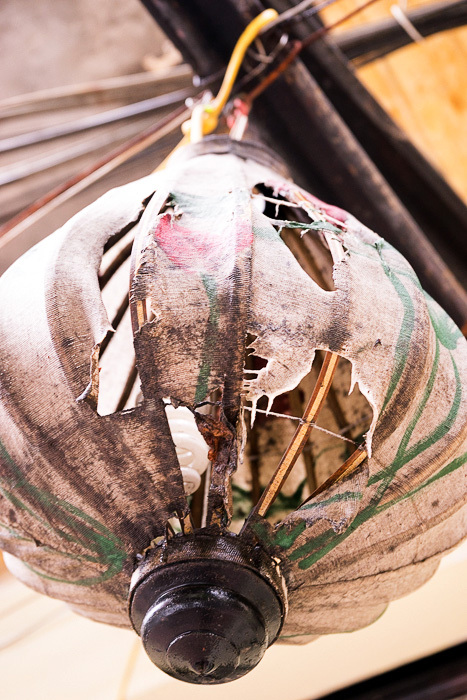 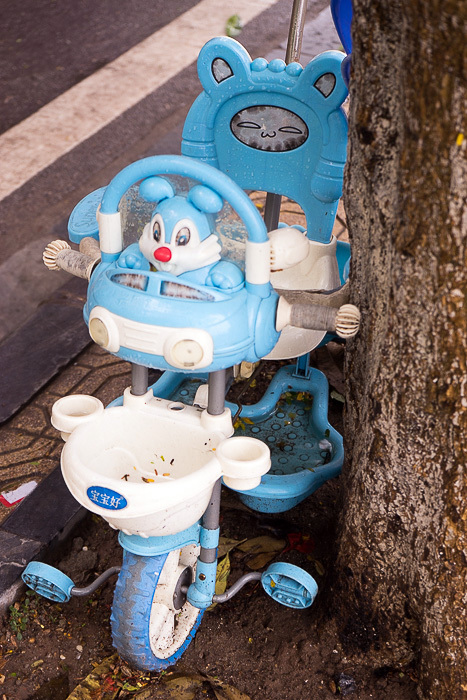 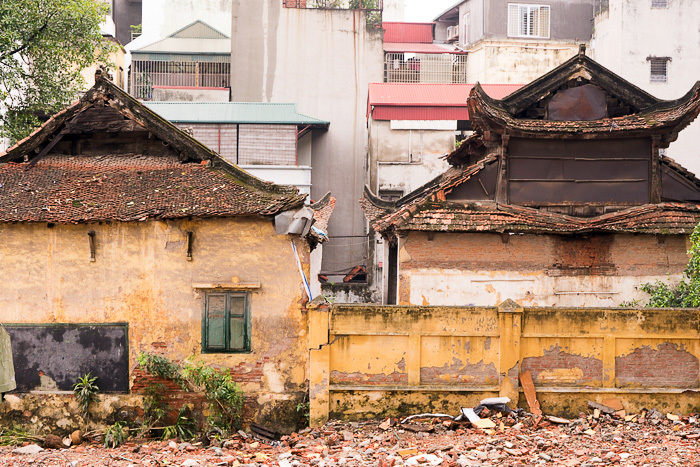 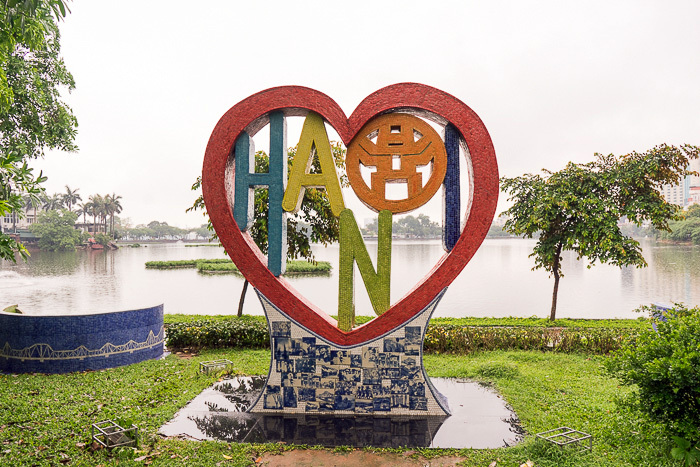 It didn’t take long before we began to recognize a certain pattern to our experiences in Hanoi. 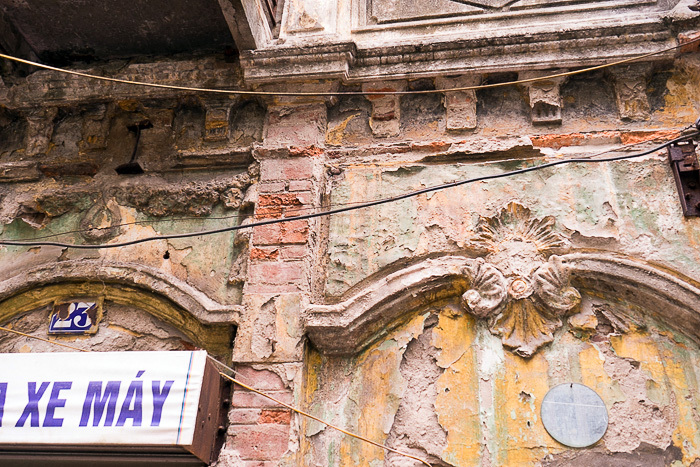 In the Old Quarter, we were annoyed by the tourists, hassled by the locals, and would quickly become aggravated. 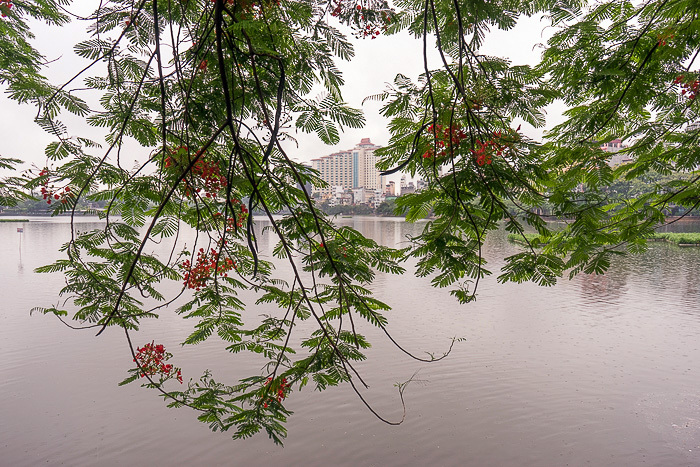 But the moment we went somewhere else, such as Trúc Bạch, things would calm down and we would have a great time. 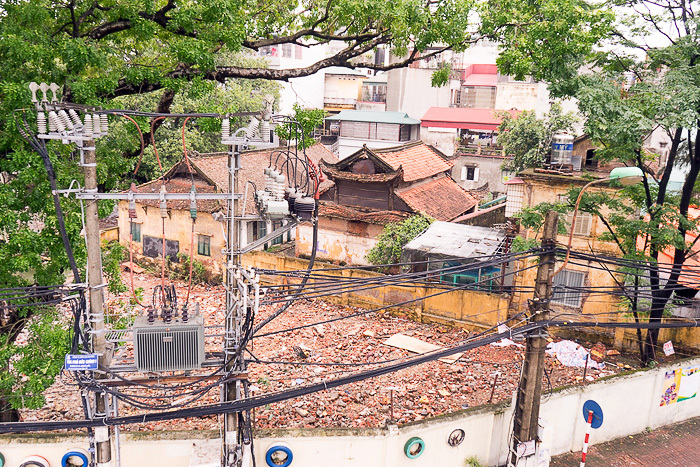 It’s not like this neighborhood is even that far away; it literally borders the Old Town. 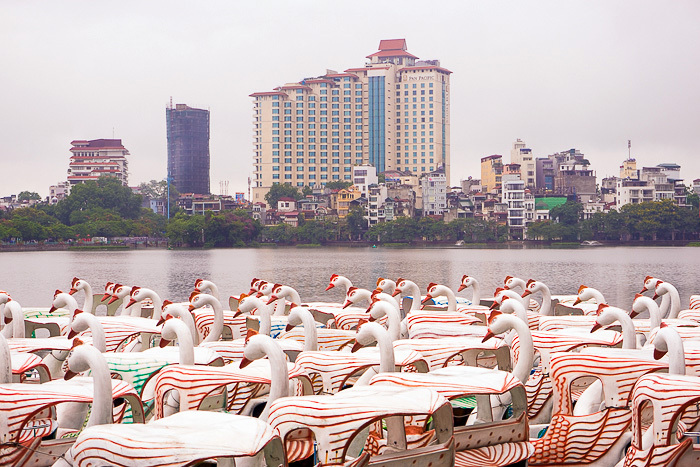 If you’re hoping to spend time picnicking at a lovely, romantic lake, you might want to look elsewhere. 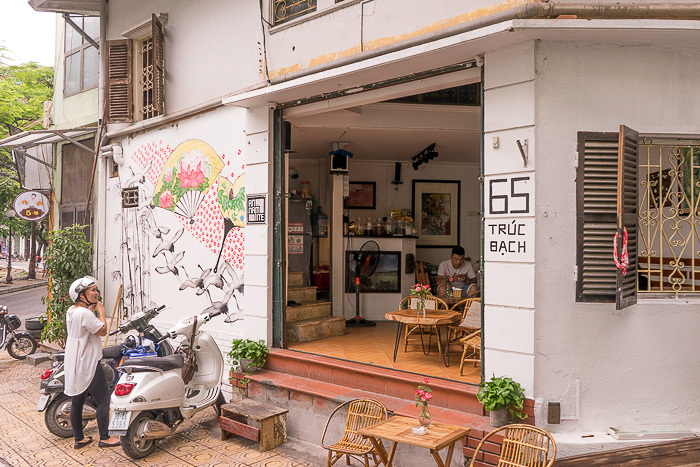 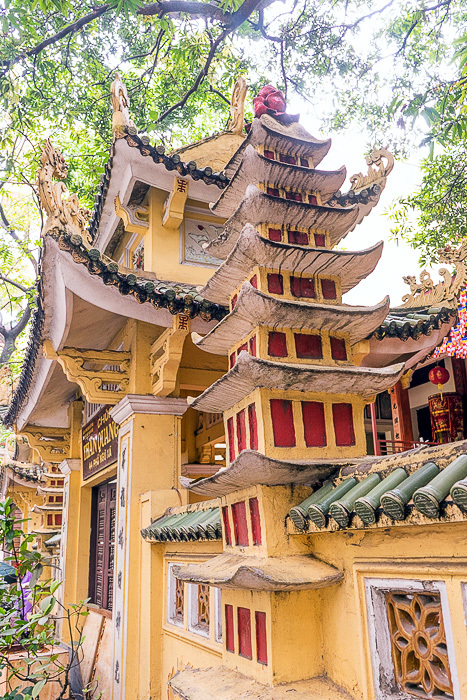 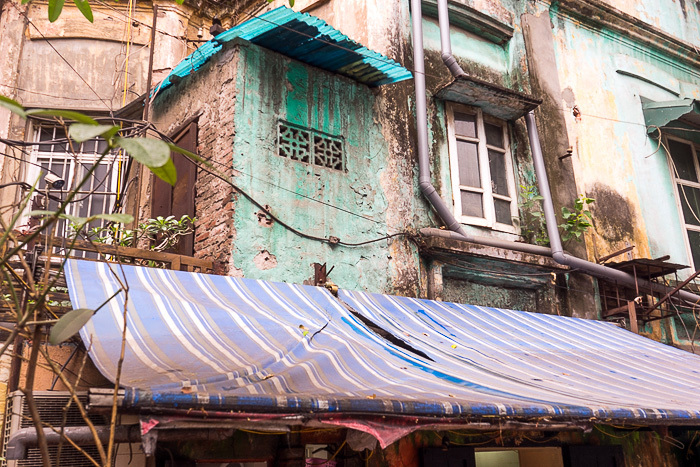 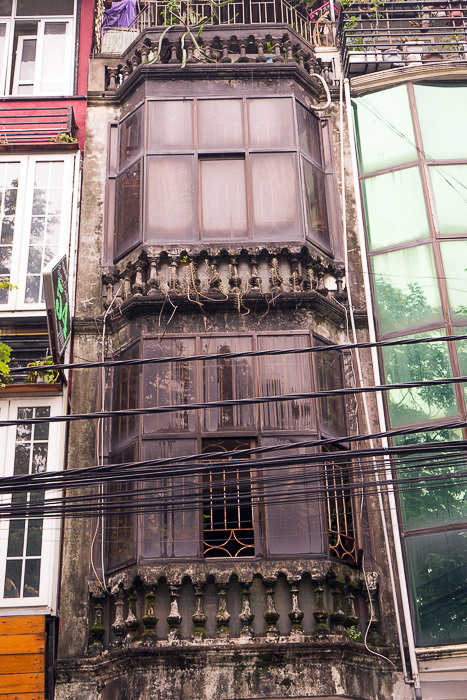 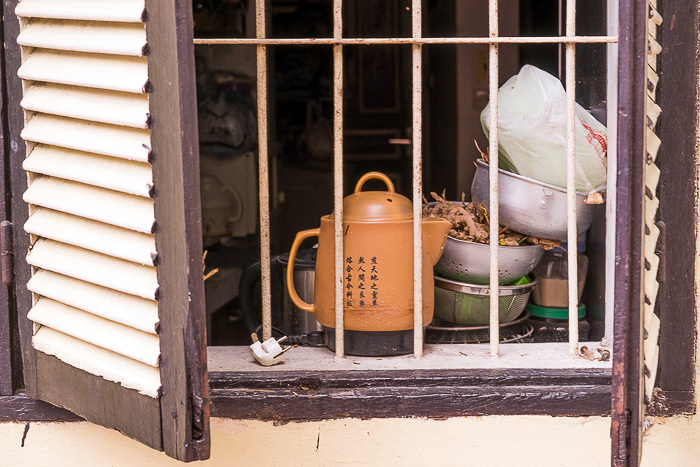 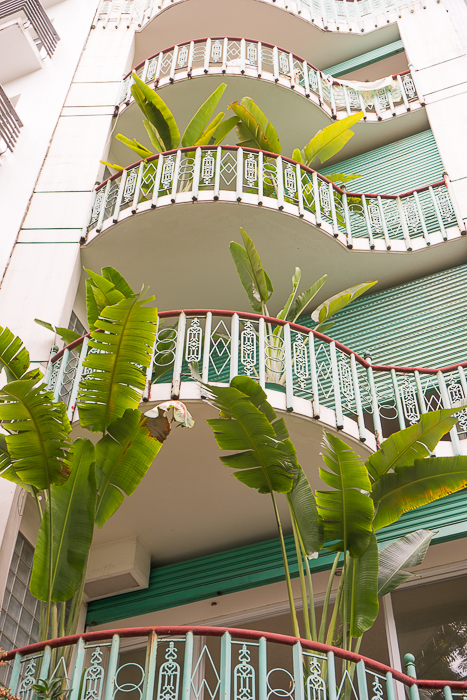 But if you’re hoping for a enjoyable slice of normal Hanoi life, with a fascinating dash of history, definitely check it out.